You can often find us discussing the state of Dynamics recruitment on the Conspicuous blog. In the past, we’ve focused on the overall problem of resource supply and demand. Here, we will look at the huge challenges facing partners in the Microsoft Dynamics channel struggling to recruit university (college) students, and reveal the exciting new solution Microsoft has unveiled for the US, Canada, UK and Europe. The majority of partners in the channel are SMEs and therefore don’t have massive recruitment budgets. In addition, not many of them are household names, and don’t have the pull of larger businesses that capture the imagination of recent graduates. Finally, some graduates just don’t know about – or understand – the vast array of roles available in partner channels. They see themselves instead working at Microsoft’s glamorous HQ in Redmond! At Conspicuous, we know that education is one of the best ways to inform people of the graduate roles available at partner channels. That’s why we’re pleased to reveal a new worldwide strategy for recruiting new graduates to partner channels. As of a couple of weeks ago, the Microsoft Dynamics Academic Alliance has begun to host so-called “Campus Events” at colleges and universities around the world. The plan going forward will be to host a number of these events in 2016, with several in the US, around five or six in Canada and more in Europe. The aim is to make undergraduates and postgraduates aware of the broad spectrum of jobs available in partner channels. The events will be “strategically locate[d]” to maximise attendance, as well as to guarantee that there are plenty of hiring opportunities near the event. According to a report in MS Dynamics World in February, there has been a real demand in Dynamics CRM (ERP, too), for graduates to up-skill and learn the tools necessary to complete the most complex tasks. This goes across the spectrum of consultants, developers and end-users. MS Dynamics Academic Alliance is offering educational institutions free Microsoft Dynamics CRM and ERP software to include Dynamics on their curriculums. With the new Campus Events in place, students should then feel motivated to learn to use the tools and connect quickly with partners who are looking to take on recruits. 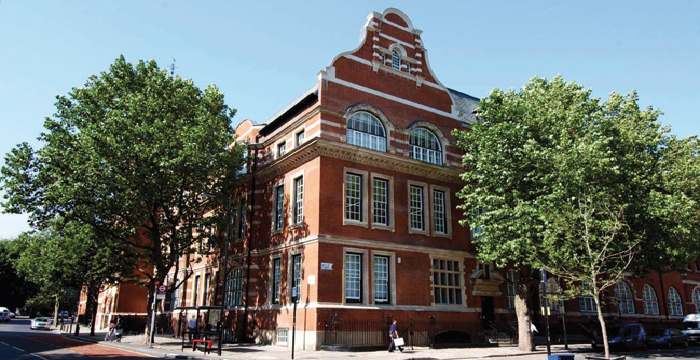 The first of the Campus Events took place at City University London, where many were Engineering or Computer Science students. At this event, partners talked about the technical interview process. By all measures, the first in this series was a success. All 60 places were filled, and discussions ran for three hours – half an hour longer than expected! If you’re an excited student looking for Dynamics jobs in the partner channel, get in touch with us for a chat. We’re a specialist Dynamics recruiter for the UK and US, and you can call us on (UK) 01483 233 000 or (US) 01646 878 6426 to chat with friendly consultants today. Tagged: Dynamics recruitment, Microsoft Dynamics.